Not a lot of progress so far. Most of the work has been in the undergrounding a couple of spans of the Western Power transmission line that passes over the interchange and widening Joondalup Dr in both directions in preparation for pushing the carriageways outwards to provide space to build the bridge in the centre. This widening work along with conversion of the existing intersection to a roundabout is meant to be finished by May. OK you made me not be lazy and actually dig up population data. The big train rise after 2006 is mandurah line opening. Ferry rise is Elizabeth quay opening. Wheres Butler and Aubin Grove stations fit into it? 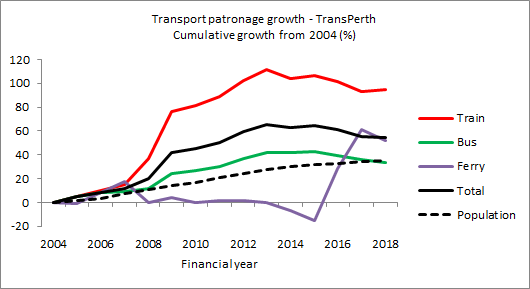 The ease and relative cheapness of getting around Perth by car wouldn't help those PT figures. Billions spent on roads and road upgrades and no significant investments in PT since the Mandurah line. Yep makes sense. Patronage must be affected by population growth, overseas students, road congestion and fuel prices. I remember during the boom times how many Irish were over here, fleeing hard times in Europe. It felt like every second voice one heard on the trains had an Irish accent. There are lots of little factors that contribute as well for example a huge shutdown of both the Joondalup and Fremantle lines for the Perth City Link project, various freeway widening projects, Gateway WA may have even had an impact. That all sort of happened around 2015/2016. I think the end of the boom would be the biggest impact of all however. Butler (opened end of 2014) and Aubin Grove (start of 2017) don't seem to have made any impact at all. price of fuel - petrol today (say $1.35 per litre) is less than what we were paying in the first half of 2008 (around $1.40 per litre but up to $1.57). And, looking at Google Maps, the travel time from the city to Ellenbrook is 34 mins. Only a five minute saving from the Tonkin Median MEL plan, but nearly 15 on my tunnel plan. In summary, a pro for the tunnel! Well, as a lot of people do say, Roe 8 is environmentally a controversial project. Another group of people say that Roe 8 is needed. I agree on both sides. Roe 8 will need to be built, but perhaps it could be built in a completely different direction, in a completely different way. What if, instead of a a large viaduct over the Wetlands towards Fremantle, it was a tunnel to Cockburn Sound? A tunnel (key word: tunnel) going to the future Outer Harbour? Surely, Saffioti and/or McGowan realise that one way or another, Outer Harbour or not, there will be a lot of freight traffic. There needs to be Roe 8 somehow. Would it be easy enough to convert the curve on the Murdoch Dr Connection to a Directional T/Y-Interchange to the future Freight Link tunnel? A tunnel, so long as it's deep enough, shouldn't affect too much on the wetlands, save for the tunnel dive. My idea would be a tunnel to Cockburn. From the potential Murdoch Drive Y/T-Interchange, then Roe Hwy dives into the tunnel, while curving south as to avoid Bibra Lake, then heading southwards before turning to face south-west, in between Little Rush Lake and Yangebup Lake, then curve back southwards, before heading west towards the Cockburn cement works, then surfacing just behind it, directly east of the Russell Rd West/Rockingham Dr intersection. A viaduct could then be built from the median on, while Westbound on/off-ramps could be constructed to link Roe hwy and Russell Rd. The viaduct could lower back down to ground a few hundred metres east of the entrance to the Woodman Waste Water Treatment Plant, merging into Cockburn Rd. I might draw a Google MyMaps tomorrow. 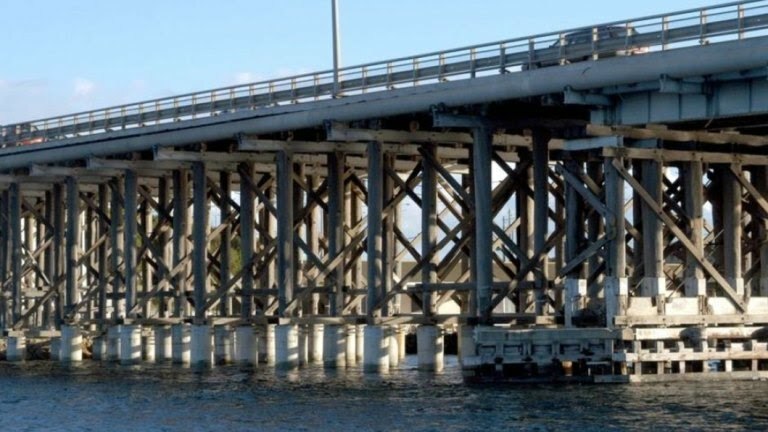 Funding towards replacing the rapidly deteriorating Fremantle Traffic Bridge will be allocated in the forthcoming state budget, Transport Minister Rita Saffioti has announced. The government has secured a 50-50 contribution from the Commonwealth for the $230 million project, which it expects to create 1500 construction jobs. 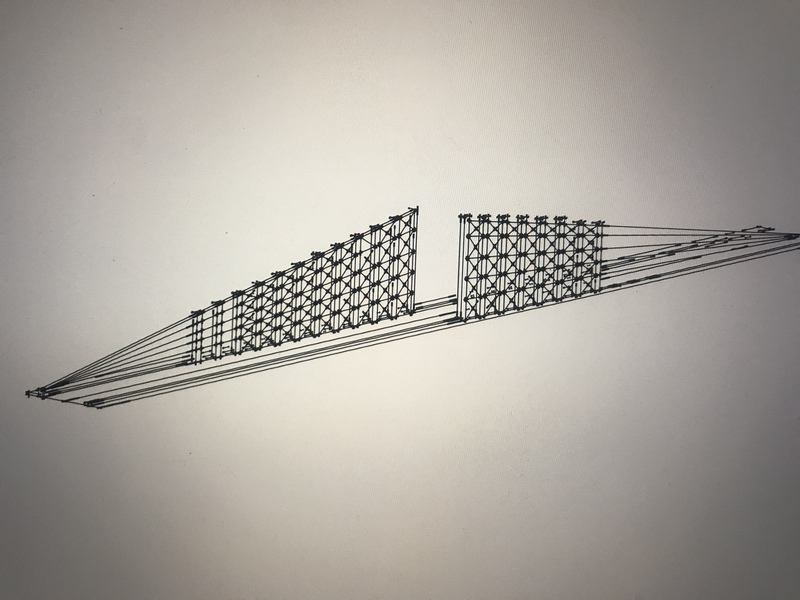 Government agencies are at work on a business case that will consider creating a bridge that can also replace the rail bridge close by, which currently represents a key bottleneck with passenger and freight trains sharing the space. The 80-year-old traffic bridge, originally intended as a temporary structure, was closed for a time in 2016 after erosion around its pylons left it unstable. When releasing a national priority list in February, Infrastructure Australia listed the bridge’s renewal or replacement as among proposals needing resolution within five years. Responding to the WA government’s submission of the project for inclusion on the list, IA found the bridge would have to close within the next five years, because of deterioration of critical components and supports. The business case to replace the traffic bridge has been expanded to include rail options, as the rail bridge is shared by passenger and freight services and is therefore a key bottleneck. It warned that closing the bridge without replacing it would substantially increase pressure on nearby Stirling Bridge, which would worsen travel times and impact heavy freight road access to the port – access that’s a crucial issue for this government, whose first acts on winning government in 2017 included cancelling the Roe 8 highway extension that was to ease road congestion around the Port. IA said the options included renewing or replacing the existing bridge, or developing and improving alternative crossings and routes, and said the state government needed to develop options. Announcing the project on Monday, Ms Saffioti said over the past few years $20 million had been spent on maintenance of the old bridge and it would cost a further $40-$50 million in the coming few years if not replaced. She also said while the amount of container freight moving to and from the Fremantle Inner Harbour by rail was reaching record levels under this government (22.8 per cent in March), easing pressure on roads, the rail bridge capacity and the conflict between passenger and freight during the day would constrain further growth in the future. The Public Transport Authority was working with Main Roads WA on the business case and design. Ms Saffioti told Radio 6PR's Mornings with Gareth Parker that while the detailed design was just commencing, the design at present was for four lanes of traffic, and incorporating a new rail bridge, potentially to replace the old rail bridge altogether. "Our aim is to have ... further lines to expand that capacity for rail," she said. The new bridge would also address key problems with Perth to Fremantle cycle routes, by including modern cycling and pedestrian paths, she said. 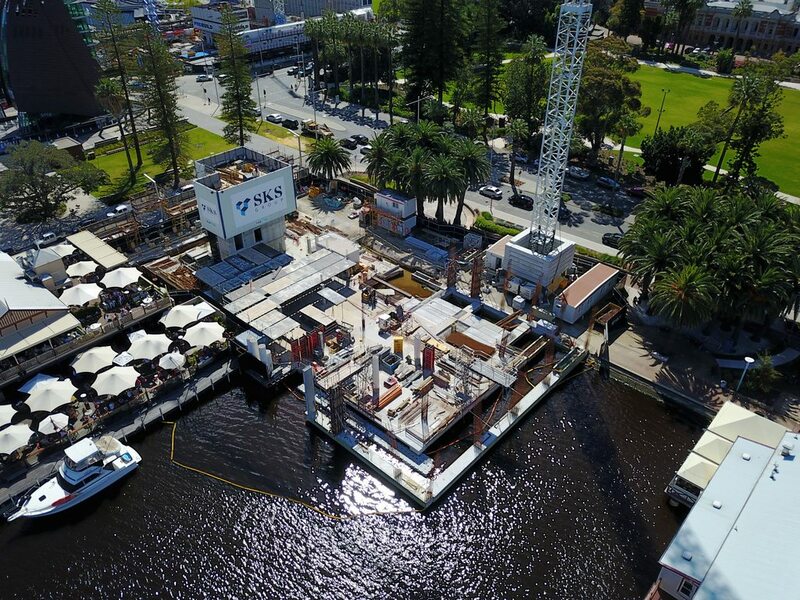 The state, with the City of Fremantle, would investigate retaining parts of the old bridge for community use subject to feasibility, as she understood that "people have an emotional investment in this bridge". "I don't think we will be able to retain it all but we will hopefully keep the beginning or end parts, possibly for fishing platforms. "And we will incorporate some of the heritage of the old bridge with the new bridge. "Possibly retaining some of the timber for pedestrian areas. "And recognising the social impact it has had for a lot of people." She could not yet share details of architectural style of the new bridge. "I am not sure how elaborate it will be. "But it is a significant work. "We've got a budget and we'll see what we can deliver; of course we'd like to make it as architecturally pleasing as possible. "But much of the focus so far has been on what will happen to the old bridge." The government anticipates construction will start in 2021-22 and take about two years. Existing bridges will remain during the building. This thing better look good. It's the one opportunity they have to shape the Fremantle skyline for a long time. By comparison, Matagarup Bridge cost 100 million as a pedestrian bridge. So for a road and rail bridge at more than double that, there could be a good chance for some architectural expression. Don’t expect anything too exciting from this government mate. All expectations must surely be on a narrows mark II bridge but until McGowan Saffioti and Co let us down again I will hold out hope. with saffioiti and this current government youre just gonna get a concrete bridge. should have four rail tracks and four road lane yes ? 3 tracks and 4 lanes is the bare minimum for that bridge. Ideally it should be 3 tracks with 5 lanes approaching the Freo end of the bridge, 4 lanes on the northern end but with a wide median for provision of widening to 6 lanes and/or 4 tracks. Not forgetting that there should be a 2 metre wide pathway on one side, of course. Design-wise I wouldn’t mind seeing the new bridge incorporate the style of the old bridge but in a more modern approach. 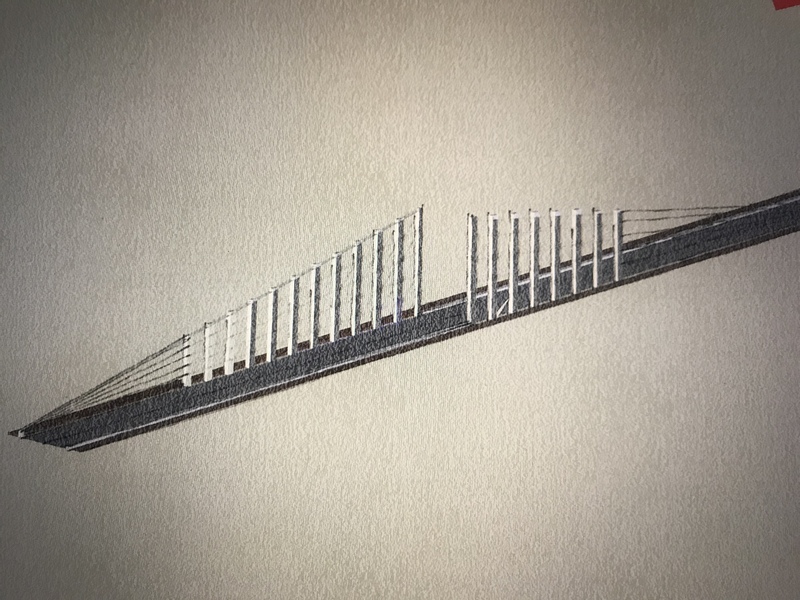 I did a very quick concept drawing which essentially flips the old supports to above the bridge and I think it looks pretty good. It would suit the utilitarian style of Freo I think. Note: I haven’t gone to the trouble of incorporating the lanes/tracks needed or finished it it’s just a design concept.